It doesn’t matter if a journey seems like it doesn’t have a visible end, the point of a journey is the journey itself. It’s about what happens along the way, all the emotions experienced, and all the adventures. 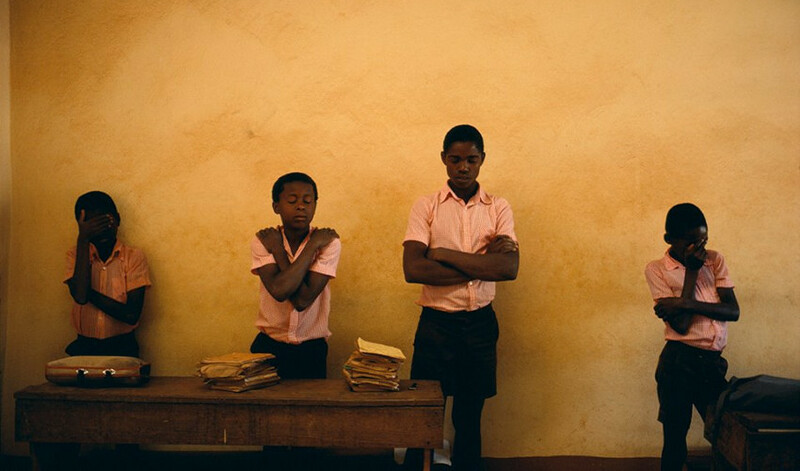 For Alex Webb, most of his projects seem to begin as exploratory trips, without the end in sight. He is simply documenting the way. Being one of the most famous street photographers, he’s been seeking places with active social life and troubled with some sort of social problems. He started shooting in black and white, but after reaching a creative dead-end, he continued to shoot in color. He is married to Rebecca Norris Webb, who is also a wide known photographer. Alex is a street photographer who possesses a beautiful talent to hear and feel the rhythm of every place he visited, and he followed that feeling. Roaming the streets of the Istanbul, Tijuana, Boston, Rochester, he’d witnessed and explored transformations of the society in the way it manifests in the streets. A dramatic change isn’t always in the focus, and culture and tradition have also found their way into the photographs. He started working as a professional in 1974 and became an associate member of the Magnum in 1976. The work of its artists like Henri Cartier-Bresson and Bruce Davidson was a part of Webb’s father collection, and that provided an appropriate introduction to serious photography. The artist didn’t just learn at Magnum, he also helped some other photographers, like Larry Towell, find their style. After shooting in black and white for several years, including the work on Mexico-US border in 1975, the artist hit a creative blockade. Pictures of the American south, New England landscapes and New York City were a bit alienated, amusing but also emotionally detached, and Webb felt that he was walking in the territory that Charles Harbutt and Lee Friedlander had already explored and that he wasn’t getting anywhere new, no matter how much he tried. The trip to Haiti, where everything was about to change, was Inspired by the Graham Green’s “The Comedians”, a novel that caused both fascination and fear. There was something different, a new intense and emotionally vibrant world which changed Webb, both as an artist and as a human being. He realized the world is a complicated, and observing it only in black and white could lead to great dangers. So the artist started shooting in color, as it was a defining characteristic of emotions, atmosphere, and the general feeling about places. When he returned there in 1986, the country was descended into the turmoil after the overthrow of the president Jean-Claude Duvalier. This caused a change in Webb’s work and his book “Under a Grudging Sun” could be described as a journalistic report on two troublesome years of Haitian history. In the same time, it was very personal for the artist, as it reflected the feelings of confusion, uneasiness, and fear he felt during that time. Every single picture in this series was intended to raise a question, rather than provide an easy answer. Believe it or not, it was destined for the two photographers to meet and eventually get married. And it was natural for them to try working together, to see if their work will complement each other, or maybe it would be entirely confusing and counterproductive. 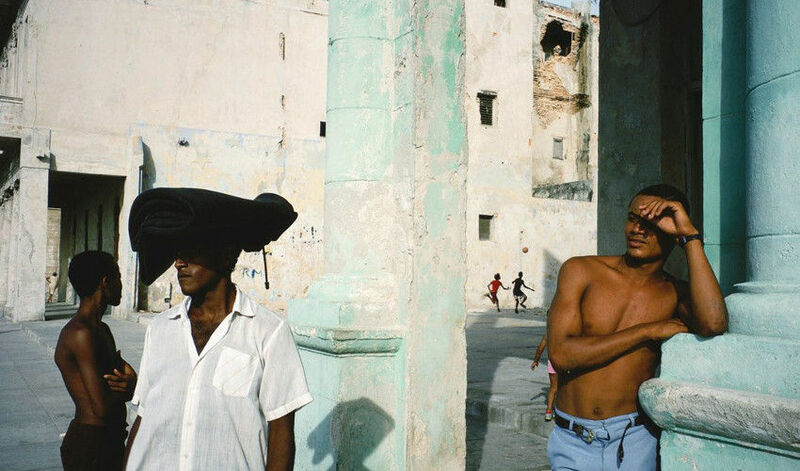 What they discovered in Havana, more than twenty years ago, and what was amplified significantly on their latest project in Rochester, was two different styles and yet complementary photographic visions could visually echo the many layers of a city. There are only a few disagreements about photographs. Their photography is very distinctive, but their general attitude about photography and the belief in the exploratory nature of the process is similar. It’s all about taking the camera and discovering the world different than the expectations we may have about it. Their work seems to rhyme, and the artists love that notion. Sometimes it is easy to see, like when they share a palette or the affinity for the surreal and surprising moments, but sometimes it’s a mystery why their photography work together. Upstate New York City, specifically Rochester, is the location of the most recent collaboration project of Alex and Rebecca. The film has played a major role in both of their lives, as it helped them in finding their own individual ways of seeing photographically. The project was inspired by the bankruptcy of Kodak, and the effects of that on the city of Rochester. After working for many years in color, Webb is again shooting parts in black and white, using his last roles of Kodachrome, the discontinued film he used solely for more than thirty years. So, in a way, the project is an emotional response from the artist to the fact that everything is changing. This may very be the last days of film, and the artists decided to honor it properly. Working in color for all the years has taught Webb to pay more attention to light, unlike he did in the beginning when he only shoot in black white. Now he is aware of the color of the light, the angle of light, and he fully grasps that a particular tone of light can transform a situation, resulting in a somewhat different photograph than imagined. For a photographer who has worked for many years, Webb’s compositional approach hasn’t changed dramatically since he started working seriously in color, back in 1979. Some things have changed, naturally, and the work has become more complicated in terms of emotions and psychology. It reflects some personal experiences, like being a husband and a father, losing his parents, generally maturing and realizing there are more complexities in the world than he thought when he was younger. All of that hasn’t made his work visually complicated. Alex’s photographs are known for their depth, and many of them have a strong background, mid-ground, and foreground. Also, the viewers are invited to step into the frame, entering by looking the object nearest to them, and then slowly going further. Keeping it sort of chaotic has been the guidance for the artist, always dancing on the thin line of wanting more, but not descending into chaos. There are often many subjects in the frame, but they don’t overlap, and all of them tell their own story. In fact, no strict rules exist. It depends on the location. Istanbul, a project that lasted between 1998 and 2005, is maybe his most visually complex work. It seems that because it is simply a later work, but that’s not all. 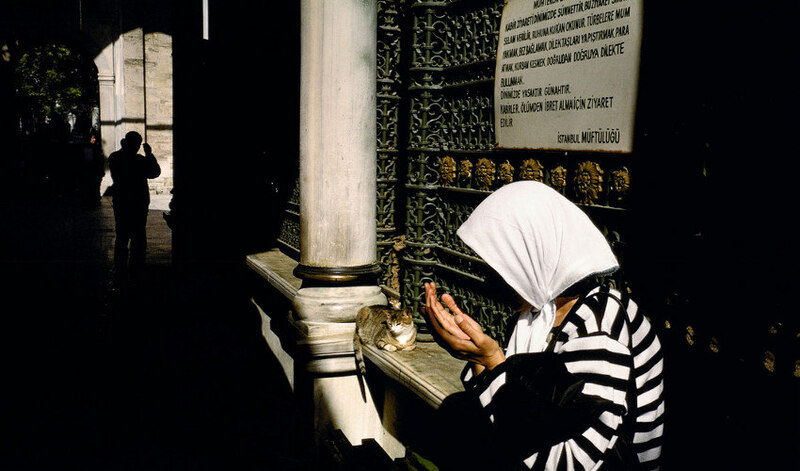 The artist found Istanbul to be very rich and multilayered city, and that reflected in the photographs. The artist was born in 1952 in San Francisco. He earned his BA from Harvard University in 1974, Majoring in History and Literature. He also studied with Charles Harbutt at the Apeiron Photography Workshop in Millerton, New York, in 1972. His career of a professional photojournalist started in 1974, and he became an associate member of Magnum Photos in 1976. Webb’s father, who was a publisher, editor and took occasional photos, possessed a collection of books about photography, and they represented the perfect introduction to serious photography for the artist. Countless hours were spent over the work of titans like Bruce Davidson, Robert Frank, Ray Metzger and Henri Cartier-Bresson. Many years passed before he had the opportunity to see the original prints from these artists. His early work was done exclusively in black and white, shooting on the border between the Mexico and the United States, and on the east coast, in the places like New England and New York. After a creative dead-end in the mid 70’s, he traveled to Haiti. That was a life-changing decision, and the time he discover the true complexity of the world and the need for color in order to show that complexity. He married a fellow artist, Rebecca Norris, and they worked together on many projects. The artist has exhibited throughout the US and Europe and has won a number of awards and grants – a Leopold Godowsky Color Photography Award in 1988, a Hasselblad Foundation Grant in 1998, the Leica Medal of Excellence in 2000 and the John Simon Guggenheim Fellowship in 2007, to name a few. Sometimes, actually most of the times, the skills and preparation just don’t produce expected results. Never knowing what’s about to happen is both thrilling and annoying characteristic of the photography. Luck plays a significant role, as you have to be at the right place at the right time, and to push the shutter at the right moment. Sadly, in reality, it isn’t like that. 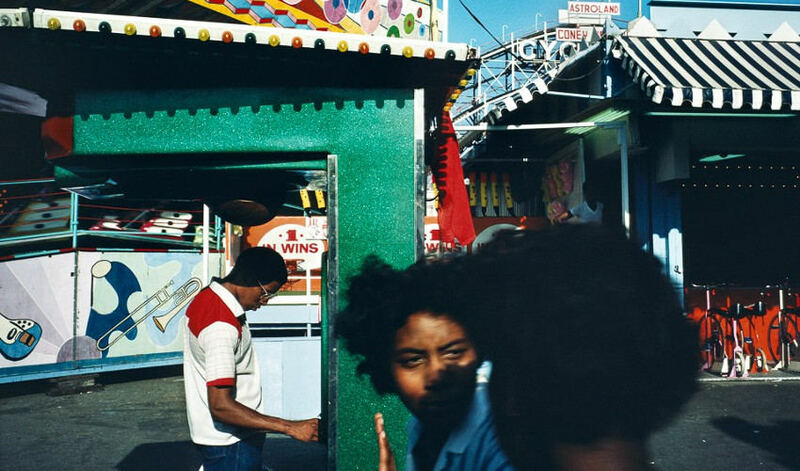 Alex Webb thinks that almost all of street photographs are a failure. The numbers don’t discourage him, as he knows that one in a hundred will be perfect, and that is a powerful driving force. You just have to spend an enormous amount of time roaming the streets, seeking the opportunity to immortalize a single moment in time and space. Journalistic content and the aesthetic concerns are both present in his work. 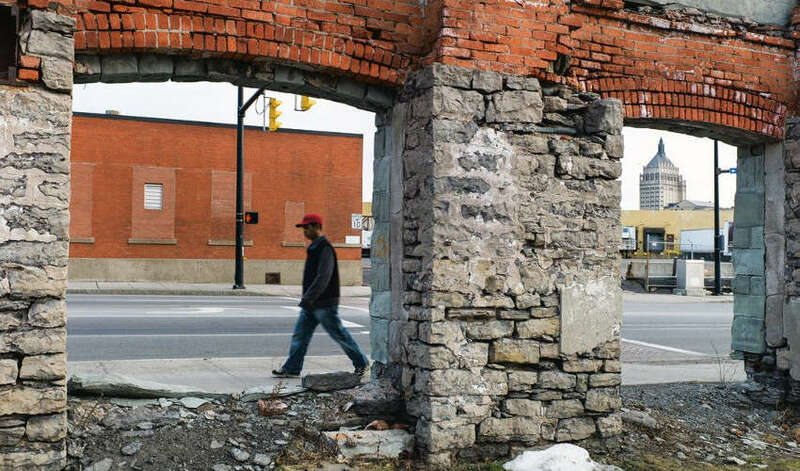 All the thoughts of the politics and society the artist has about the place he’s photographing come out of walking the streets of those worlds. If the artist had some advice for the fellow photographers, it would probably be something like this – stay true to yourself, follow your photographic instincts, and listen to what your gut tells you. That’s how you will manage to take the viewers somewhere they haven’t gone before. He is represented by Stephen Bulger Gallery in Toronto, Canada. 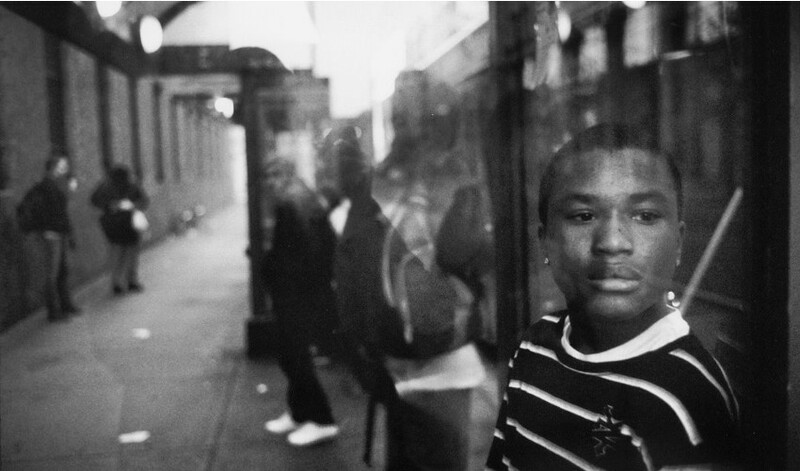 Alex Webb lives and works in Brooklyn, New York. 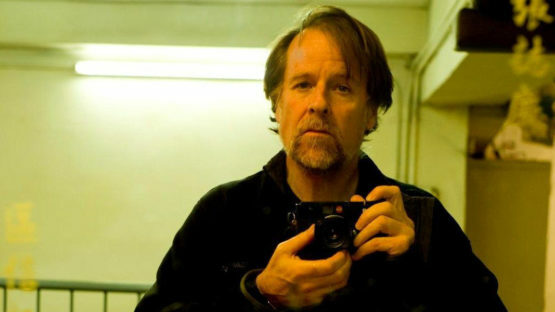 Featured image: self-portrait of the artist, taken in Hong Kong in 2011. 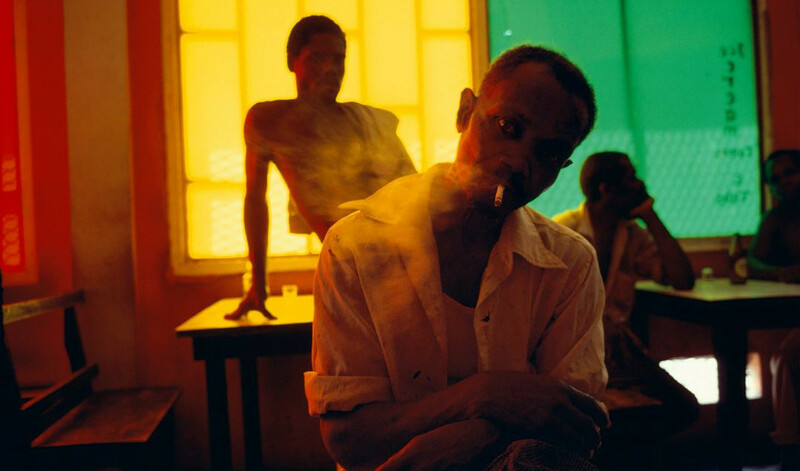 All images copyright © Alex Webb/Magnum Photos.